It’s been said that here and now in the 21st century we’ve never had more distractions pulling at our attention day in and out like we do now. This is especially true when we’re in front a screen, and we imagine not many of you need any convincing of that. Distractions aren’t particularly problematic when you’re only web surfing or the like, and more often than not they’re what you might call an irresistible nuisance in those situations. When you’re on your computer for productive purposes, however, all those distractions can add up to a considerable amount of lost time. That’s where people might wish there was something to be done about them… and it appears as if now there is. Here at 4GoodHosting, we’re like any industrious Canadian web hosting provider in the way we have our eyes and ears peeled for developments in the computing world. Most of them aren’t worthy of discussing at large here, but considering that nearly everyone has had difficulty staying on task when making use of the Internet then this one definitely is. As if the Chrome browser needed any more assistance in being the nearly ubiquitous web-browser of choice these days. Google is set to announce focus mode, and while they haven’t actually announced this new feature as of yet, tech insiders have found there’s a new flag to be seen that indicates whether or not ‘focus mode’ is on. It should be mentioned that they’re not broaching uncharted territory here. Different applications have attempted to take on the problem of getting people to focus while working on a computer, and there have been software solutions available for both Mac and PC that have arrived with little or no fanfare. It goes without saying, however, that no power players commands the attention that Google does these days. At this time little is known about the Focus Mode feature, asides fro the fact it will soon be implemented with the world’s most popular web browser. The seen flag is reportedly indicating that if ‘#focus-mode’ is enabled, it allows a user to switch to Focus Mode. We bet nearly all of you will be saying right, right – but how exactly is Focus Mode going to work? At the moment, we can only speculate on the features the new option might offer to users. We think it’s safe to assume that Focus Mode will restrict specific websites or applications from being accessed. For example, Focus Mode may stop a user from browsing sites such as YouTube, Reddit, and Facebook (likely the most necessary for most people!). Other industry insiders have suggested that the mode may integrate with Windows 10‘s Focus Assist when working in conjunction with a PC’s operating system. That last part there is important, as it appears that – at least initially – Focus Mode will be available on PCs running Windows 10, and it’s believed that it will allow users to silence notifications and other distracting pop-ups. We’re prone to wonder if Focus Mode will also work with Windows 10 to stop websites from screaming out for your attention, or restricting those pop-up announcements that are way too common and explicitly designed to take your attention elsewhere. 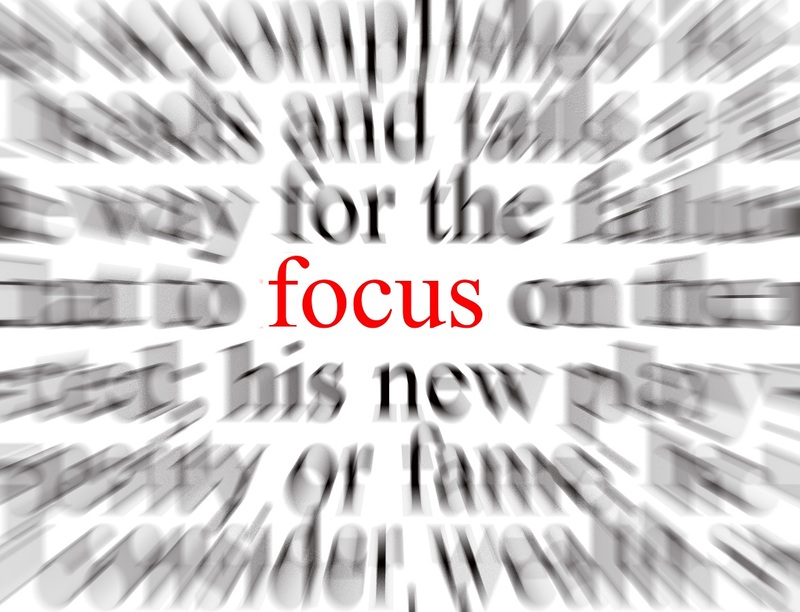 As mentioned, Focus Mode isn’t quite here yet, but for those who are distracted way too easily (and you can certainly count us among them) when time is a valuable commodity to get needed tasks done then this really has a lot of potential. We can most likely expect to see Focus Mode in a test build such as Chrome Canary before it becomes a mainstream feature available to one and all with Google Chrome. We’ll be following these developments keenly, and we imagine that now a good many of you will be too. AI continues to be one of the most game-changing developments in computing technology these days, and it’s hard to argue that there’s no more commonplace example of AI than in the digital assistants that have nearly become household names – Apple’s SIRI and Google’s Alexa. Even a decade ago many people would have stated their disbelief at the notion that it might be possible to make spoken queries to a digital device, and then have them provide a to-the-minute accurate reply. The convenience and practicality of AI has been a hit, and what’s noteworthy about it is the way that folks of all ages have taken to it. After all, it doesn’t even require the slightest bit of digital know-how to address Siri or Alexa and rattle of a question. Indeed, both tech giants have done a great job building the technology for their digital assistants. With regards to Siri in particular, however, it appears that Apple is teaming up with a company that’s made a name for themselves developing chatbots for enterprise clients. Why? – to make Siri an even better digital assistant and even more the so the beacon of AI made possible for everyday people. Here at 4GoodHosting, like most Canadian web hosting providers we have the same level of profound interest in major developments in the computing, web hosting, and digital worlds that many of our customers do. This zeal for ‘what’s next’ is very much a part of what makes us tick, and this coming-soon improvement to Siri makes the cut as something worth discussing in our blog here today. The aim is to make it so that Siri gets much better at analyzing and understanding real-world conversations and developing AI models capable of handling their context and complexity. In order to do that, they’ve chosen to work with a developer who they have a track record of success with. That’s Nuance, who is an established major player in conversation-based user interfaces. They collaborated with Apple to begin with Siri, and so this is round 2. As mentioned, Nuance’s present business is focused on developing chatbots for enterprise clients, and so they’re ideally set up to hit the ground running with Project Pathfinder. The focus of Project Pathfinder came from Apple’s belief that machine learning and AI can automate the creation of dialog models by learning from logs of actual, natural human conversations. Pathfinder is able to mine huge collections of conversational transcripts between agents and customers before building dialog models from them and using those models to inform two-way conversations between virtual assistants and consumers. Conversation designers are then more able to develop smarter chatbots. Anomalies in the conversation flow are tracked, and problems in the script can then be identified and addressed. Voice assistants like Siri and Alexa have inner workings that make it so that your speech is interacting with reference models. The models then try to find a solution to the intent of your question, and accurate replies depend on conversation designers doing two things; 1, having learned from subject matter experts, and 2 – doing the same from a LOT of trial and error process related to query behavior. As far as Apple’s concerned, giving the nod to Nuance and their conversation designers was the best way to go. Pathfinder empowers them to build on their existing knowledge base with deep insights gathered from real conversational interactions that have taken place inside call centers. More to the point, however, the software doesn’t only learn what people are discussing, but it also makes determinations on how human agents guide users through the transactions. Adding more intelligence to voice assistants/chatbots is made possible with this information, and so Siri is primed to build on her IQ in the same way. It certainly sounds promising! All you need to do is spend a short period of time with Siri or Alexa and you’ll quickly find that they definitely do have limitations. That’s a reflection of the fact that they are built for the mass market, as they must much more diverse requests than chatbots that are primarily built for business. This means that they come with a lack of focus, and it’s more difficult to design AI that can respond to spoken queries on all the thousands of different topics around the globe with sensible responses. Then you have follow-up queries too. In conclusion, the queries posed to virtual assistants are based in human questions 95+% of the time, and as such they’re less focused and less predictable. So then how do you build AI that’s more capable of handling the kind of complex enquiries that characterize human/machine interactions in the real world? The answer to that is to start with call center chatbots, and that’s what the Pathfinder Project is doing. It will accelerate development of spoken word interfaces for more narrow vertical intents – like navigation, weather information, or call center conversation – and by doing so it should also speed up the development of more complex conversational models. It will make these machines capable of handling more complex conversations. It will, however, take some time to come to realization (projected for summer 2019). 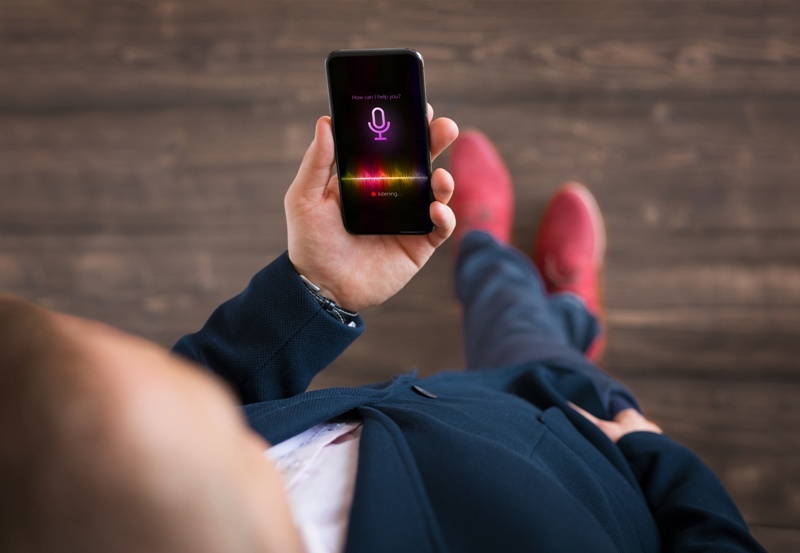 Assuming it’s successful, it will show how conversational analytics, data analysis and AI have the ability to empower next-generation voice interfaces. And with this we’ll also be able have much more sophisticated human/computer interactions with our virtual assistants. Seeing the unlocked power of AI with understood context and intent of conversation, rather than primarily asking Siri or Alexa to turn the lights off, etc. etc. promises to be really helpful and a very welcome advance in AI for all of us. We’re a few days late getting to this, but we’ve chosen to make DNS Flag Day our topic this week as the ramifications of what’s to come of it will be of ongoing significance for pretty much anyone who has interests in digital marketing and the World Wide Web as a whole. Those that do will very likely be familiar with DNS and what the abbreviation stands for, but for any who don’t DNS is domain name system. DNS has been an integral part of the information superhighway’s infrastructure for nearly as long as the Internet itself has been in existence. So what’s it’s significance? Well, in the Internet’s early days there wasn’t a perceived need for the levels of security that we know are very much required these days. There as much more in the way of trust and less in the way of pressing concerns. There wasn’t a whole lot of people using it, and as such the importance of DNS as a core service didn’t receive much focus and wasn’t developed with much urgency. What Exactly is this ‘Flag Day’? The long and short of this is that this past Friday, February 1 2019, was the official DNS flag day. So, for the last 3 days, some organisations may now have a non-functioning domain. Not likely many of them, but may will see their domains now being unable to support the latest security features – making them an easier target for network attackers. 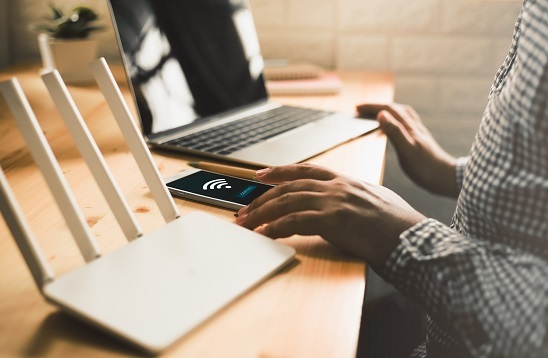 Developers have done their part to counter these threats quite admirably, and most notably with many workaround’s put in place to guarantee that DNS can continue to function as part of a rapidly growing internet. The situation as it’s become over recent years is one where a combination of protocol and product evolution have made it so that DNS is being pushed and pulled in all sorts of different directions. This naturally means complications, and technology implementers typically have to weigh these ever-growing numbers of changes against the associated risks. Cutting to the chase a bit again, the workarounds have ended up allowing legacy behaviours and slowing down DNS performance for everyone. To address these problems, as of last Friday, vendors of DNS software – as well as large public DNS providers – have removed certain DNS workarounds that many people have been consciously or unconsciously relying on to protect their domains. The reason this move had to be made is because broken implementations and protocol violations have resulted in delayed response times, far too much complexity and difficulty with upgrading to new features. DNS Flag Day has now put an end to the mass backing of many workarounds. The change will affect sites with software that doesn’t follow published standards. For starters, domain timeouts will now be identified as being a sign of a network or server problem. Moving forward, DNS servers that do not respond to extension mechanisms for DNS (EDNS) queries will be regarded as inactive servers, and won’t return requests from browsers. If you’re the type to be proactive about these things then here’s what you can do. You can test your domain, and your DNS serves with the extension mechanism compliance tester. You’ll receive a detailed technical report that will indicate your test failing, failing partially, or being successful. Failures in these tests are caused by broken DNS software or broken firewall configuration, which can be remediated by upgrading DNS software to the latest stable version and re-testing. If the tests still fail, organisations will need to look further into their firewall configuration. In addition to the initial testing, it’s recommended that business that rely on their online presence (which really is every one of them these days) use the next three months to make sure their domain meets what’s required of it now. Organizations with multiple domains that are clustered on a single network and in a shared server arrangement may well find that there is an increased chance that you may end up being caught up in a DDoS attack on another domain sitting near to yours. Also, if you’re using a third-party DNS provider, most attacks on the network won’t be aimed at you, but you’re still at risk due to being on shared hosting. VPS hosting does eliminate this risk, and VPS web hosting Canada is already a better choice for sites that need a little more ‘elbow room’ when it comes to bandwidth and such. If VPS is something that interests you, 4GoodHosting has some of the best prices on VPS hosting packages and we’ll be happy to set you up. Just ask! We’re now going to see more weak domains spanning the internet than ever before, and this makes it so that there is even more opportunity for cyber criminals to exploit vulnerable DNS servers through any number of different DDoS attacks. DNS amplification is one of them, and it involves attackers using DNS to respond to small look-up queries with a fake and artificial IP of the target. The target is then overloaded with more larger DNS responses that are more than it’s able to handle. The result is that legitimate DNS queries are blocked and the organization’s network is hopelessly backed up. Another one is DNS floods, and this involves waves of responses being aimed at the DNS servers hosting specific websites. They take over server-side assets like memory or CPU and proceed to fire a barrage of UDP requests generated by running scripts on compromised botnet machines. Layer 7 (application layer) attacks will almost certainly be on the rise now too, and including those targeting DNS services with HTTP and HTTPS requests. These attacks are built to target applications with requests that look like legitimate ones, which can make them particularly difficult to detect. Cyber-attacks will continue, as well as continue to evolve. Organizations will continue to spend time, money and resource on security. As regards DNS, it’s now possible to corrupt and take advantage of what was once the fail-safe means of web security. The measures taken as DNS Flagging have been put in place to address this problem, and it’s important that you now that your domain matches the new requirement. Again, use the link above to test yours. There’s going to be a bit of a rough patch for some, but this is a positive step in the right direction. 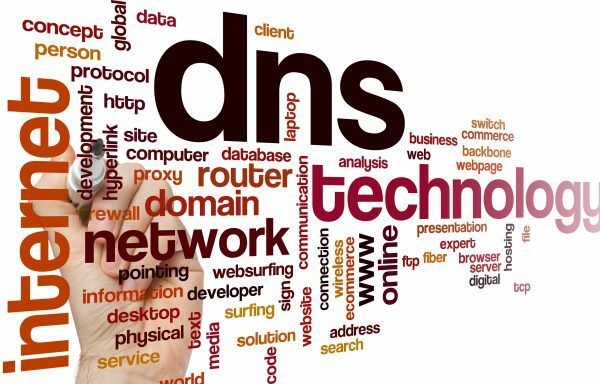 DNS is an essential part of the wider internet infrastructure. Entering or leaving a network is going to be less of a simple process now, but it’s the way it has to be.